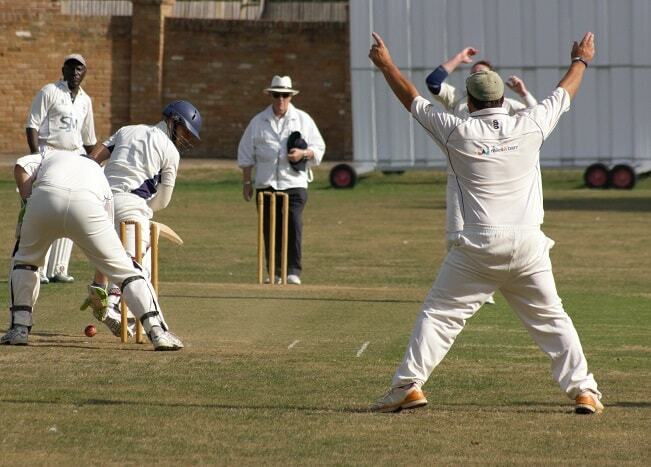 Having suffered two defeats in the past two weeks, Broadstairs were able to get back to winning ways with a convincing win by 58 runs away to Ashford. 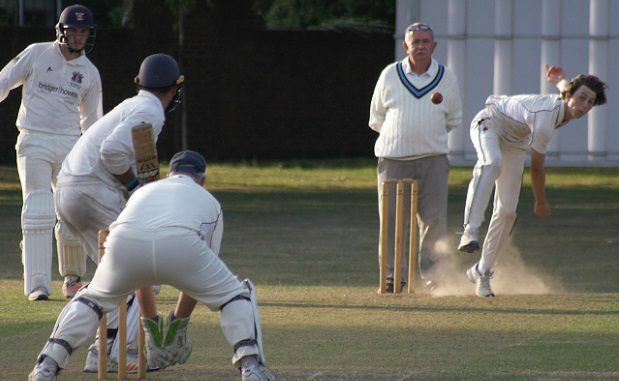 On a hot day at a ground with a good pitch and a fast outfield, captain Chris Kidd won the toss and elected to bat first, but the Seasiders suffered an early wobble when overseas Swaroop Dasari was bowled for 2 in the second over. Fellow opener Elliot Fox and Matt Frewin (16) set about rebuilding the innings, before the latter was removed by a beauty from Ben Allon, the pick of the host’s seamers with 4-47, leaving the visitors 35-2. 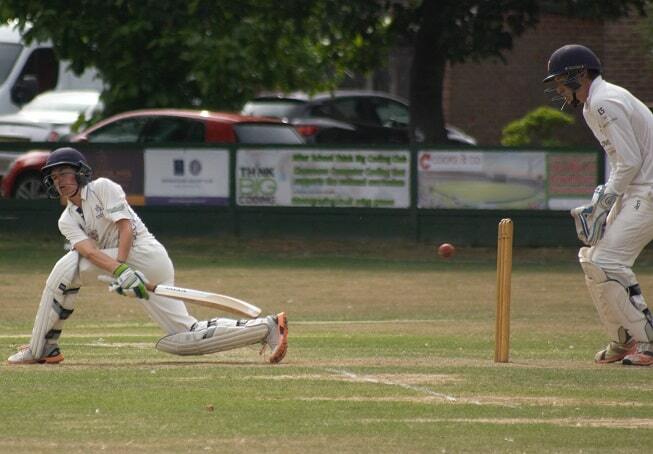 This brought keeper Jack Wheeler to the crease, who took the attack to the opposition with an enterprising 72 off only 71 balls which put Broadstairs back into the box seat, and allowed Fox (78) to go at his own pace at the other end. 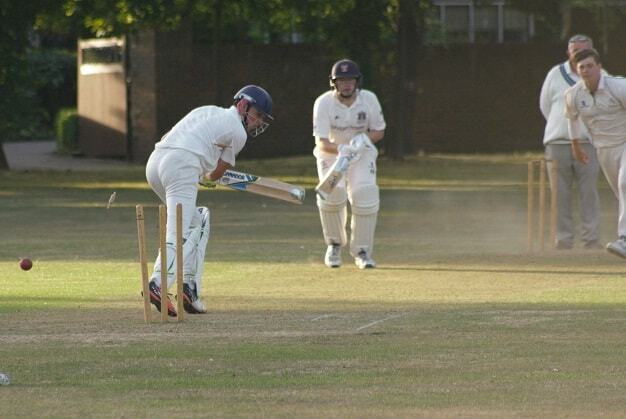 The pair advanced the score to 180-2 with 13 overs left, with a score in excess of 280 on the cards. 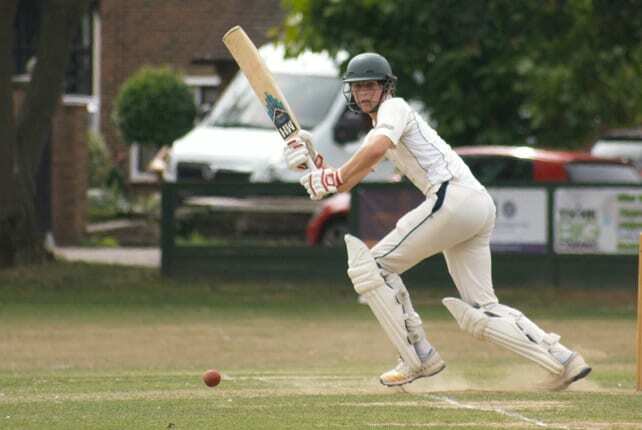 However, their 145 run partnership was ended as both were caught off the bowling of Craig Buckham within 8 runs of each other, which meant it was up to the middle/lower order to get Broadstairs up to a defendable total. A mini collapse left the batting side 209-7 and potentially facing a below par score, but important contributions from Kidd (27), Jamie Dewell (16) and Farjad Yasir (13) saw them up to a final total of 252-9 which with good bowling and fielding would be defendable. Some missed chances in the field along with some aggressive batting allowed Ashford to race to 49-0 within the first 10 overs, but tight bowling from Frewin (1-21), Dewell (2-20) and Dasari (3-25) meant that the home side fell short, with Alfie Huntley taking the final wicket to leave them 192 all out. The win cements Broadstairs’ place as second in the league, and after third place Hayes suffered a defeat at the hands of Chestfield, 3 wins out of their last 4 games would guarantee promotion for the Seasiders. The first of these is Saturday’s fixture at home to Orpington. MoM is Archie for his superb 68, 2 wickets and brilliant run out. We travel to bottom of the league Orpington this week, who are on a winning streak themselves. It’s a must win game if we want to get promoted.